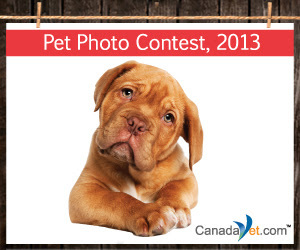 CanadaVet.com Blog: Pet Photo Contest Winners 2013! Pet Photo Contest Winners 2013! 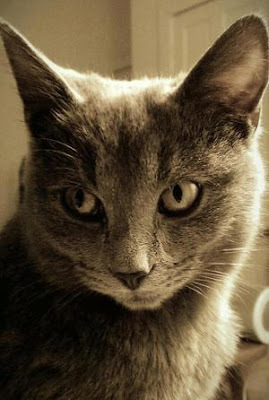 The team at CanadaVet.com would like to thank all the pet owners who shared a gorgeous photo of their pet with us in this year's Pet Photo Contest. The contest has run annually for the past six years and 2013 proved pets are just getting cuter! The judges had a very difficult task of selecting the Best Pet Photo (open to all pets); the Best Dog Photo - first place and runner-up; the Best Cat Photo - first place and runner-up. The pet lover community also had their say - by voting for the Most Popular Pet Photo. The Best Pet Photo has been awarded to an extraordinary shot taken by Kristine Schopp of her beautiful dog Ally. The Golden Retriever is one year old and has lots of personality. 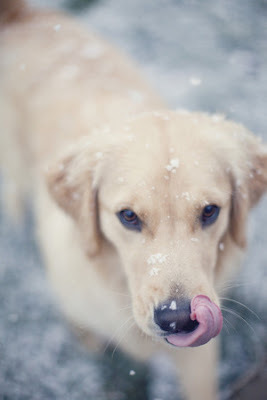 She loves snowflakes and licks the snow from her nose. After much oo-ing and ahh-ing over countless perfect pups - Roxy was named the Best Dog Photo, taken by Glenn Cannizzaro. She had just undergone her first haircut and we think she looks groomed to purr-fection! We thought Dax was giving us the ultimate puppy dog eyes - and just couldn't resist this face! His coat gleams as he embarks on a road trip to visit other family members. Apparently, Dax doesn't like riding in the back very much, so he usually ends up in between! Dax is the Best Dog Runner-up in 2013. This is definitely the cutest cat - taking the purrfect nap! Photographed by Amanda this pic took out the Best Cat Photo in 2013. Look at the gorgeous little nose and delicate whiskers! We would love to cuddle these two kittens snuggling in a basket on Christmas Day! 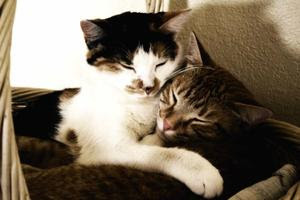 The pair are brother and sister and have been named the Best Cat Photo Runner-up. Photographed by Nicole Mills. 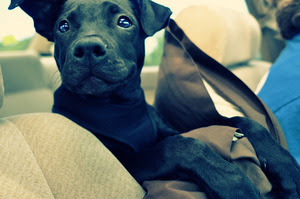 The Most Popular Pet Photo as voted by pet lovers, was awarded to Quinton Grayden - an eight month old Greybie. Owned by Jessica Grandstaff this cat appears to be quite a cunning creature! The team at CanadaVet.com would like to thank all the participants who entered our Pet Photo Contest. We sincerely enjoyed looking at all your gorgeous pet photos. 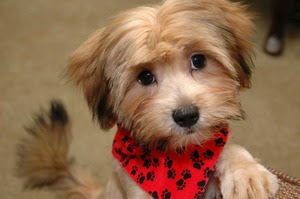 Remember to redeem your $5 entry voucher when you make your next pet product purchase at CanadaVet.com!